KoopaTV: Mega Pokémon Are FANTASTIC! By LUDWIG VON KOOPA - For flavour and competitive. I have been witness to a lot of whining about Mega Pokémon. "They're overpowered!" "They're turning Pokémon into Digimon!" "Stop ruining the classics!" I think these people are a vocal minority, but to help clear a cloud of doubt, this post will be all about how this is nothing to fear. In fact, we should be excited! First of all, and credit to my KoopaTV colleague Rawk for this point, Pokémon X/Y is taking a completely different approach than Black/White. That's a good thing. Black/White was all about trying to give focus to all the new Generation 5 Pokémon, so they completely hid Gens 1-4 from Unova. So it felt like a brand new experience... theoretically. What we really got was a bunch of Kanto knock-offs for Gen 5 Pokémon. We all know what I'm referring to (Sawk and Throh... or the Hitmon duo?). So did it really feel new? No. It was like some weird parody. And I'm speaking as someone who loves a lot of the Gen 5 Pokémon. On one hand, we got fresh and wonderful ideas like Chandelure, Lilligant, Meloetta, and Vanilluxe, and on the other hand we got knock-offs. It's like Game Freak had to really struggle to fill up the Pokédex. 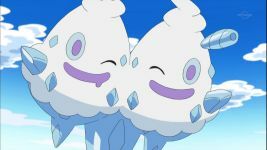 Why do people bring up Vanilluxe when trying to bash Gen 5? So to avoid this situation, rather than make knock-offs of old Pokémon and call them new, Game Freak's designers are taking old Pokémon, making them accessible in Kalos, the new region, and then improving upon them! Since these aren't new species, they also shouldn't be taking away from the 100+ new Pokémon quota we're supposed to get every new generation like actual new evolutions would. For those who don't like improvements, you don't have to use Mega Pokémon. In fact, you're prevented from using more than one in any given battle. This creates both a competitive balance and an in-game one, as well. Also, since in-game certain items are required for a Pokémon to change into its Mega forme, keeping these items inaccessible to the player until a certain point (much like evolutionary items or stones already do) nerfs the in-game effect that Mega Pokémon would have. I, um, drew this. ...Yeah. Keep in mind that since Mega Stones are a held item, Mega Pokémon cannot hold any other item, much like Giratina-Origin forme and the Griseous Orb. This has a significant battle effect: No Focus Sash, no Choice Scarf, etc. Depending on how the base stats work out, a regular Pokémon with a damage-boosting item could be stronger than their Mega Pokémon forme! Don't forget slower. On that note, Imposter Ditto makes a great counter to any Mega Pokémon, provided you give it a Choice Scarf like everyone already does. There is no way your opponent can speed-tie you! On that note, while you can transform and attack as a Mega Pokémon on the same turn, it's unclear if this transformation will have any priority. So go ahead and burn Absol before it transforms and gets Magic Bounce. Or just knock it out. It's kind of frail anyway. Anyway, I've heard that the new Pokémon are looking like Digimon line every single Generation. Including 2! It's a tired, dumb line and I want to stop hearing it. "But Ludwig, Digimon actually DO the Mega evolution concept!" Hey, people have always wanted anime-styled battling, right? And part of that includes evolving during battles, correct? Well we're finally getting that to happen. And if you really want to mind-game your opponent on the Team Preview screen, pack your team with more than one Pokémon with the potential to Mega evolve and have your opponent try to guess which one is actually holding a Mega Stone! 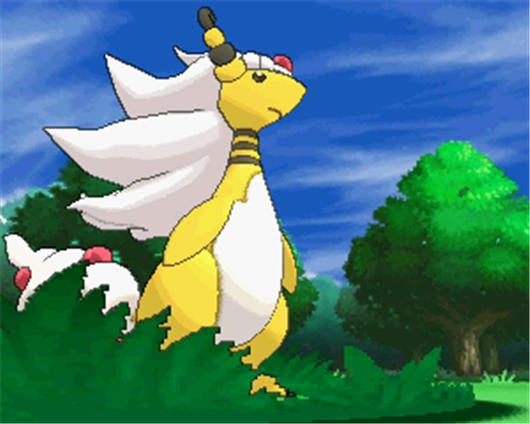 Is it Lucario or Blaziken? 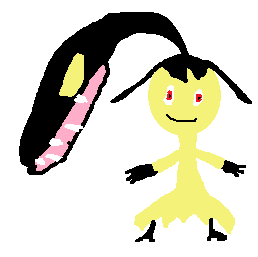 Or maybe Ampharos, because who can resist that? Excadrill, Magnezone, Ferrothorn, and Steelix can, but that's about it. Just oozing with cool here. The possibilities are almost endless here. So get out there and buy Pokémon X/Y for the 3DS on October 12. Or get one with a 2DS coming out the same day? I don't actually care about the other features in this game! This happens to be KoopaTV's 100th published article. Cool. Ludwig was wrong on a prediction in this article. Click here to read his apology. Ludwig also admits he's wrong about how Mega Pokémon got implemented, since they ruined the metagame. That makes this whole article wrong.